Are Reverse Phone Number Searches Ethical? When in need of knowing the identity of someone on the other end of a telephone conversation, you may be plagued with questions regarding ethical and moral inconsistencies. 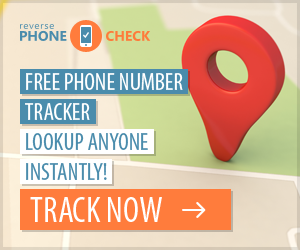 After all, many individuals would feel uncomfortable knowing that they could have their anonymity stripped away with one simple service offered by most private investigation agencies: a reverse phone number search. But the thing is, the individuals feeling this uncomfortable sensation are often not the same individuals performing acts that require someone to use the reverse phone number search. They are two different sides of the coin. For example, imagine, say, a teenager using their cell phone to prank call friends and family members. It starts out simple enough, just a few jokes and some good-spirited laughter. Then the teenager becomes angry with someone at school, so the teenager uses the prank calling as an outlet for that anger, by calling the individual's house and annoying the whole family. This goes on for days. When the family is trying to eat, sleep, or relax, the prank calls continue. Obviously, the teenager should be reprimanded for this behavior, but he is hidden behind the anonymity of the phone, so how can the family do anything? This is where a reverse phone number search comes into play. It offers the family an opportunity to get behind the number and delve into the identity of the individual making the call. Once they receive the name and address of the caller, they can move forward with reprimands, most likely talking to the teenager's parents. Regardless of what happens after the individual's identity is discovered, the act of purchasing the reverse phone number search from a private investigator led to the discovery, which led to the family finally being able to relax. Of course, this is one situation within a world full of layers. People often do not want their identity discovered. They want to remain anonymous and keep their lives to themselves. These individuals should not fear the reverse phone number search, though, as it is a tool for accessing information that is already available, just difficult to find. Private investigators make their living off scouring sources for information pertaining to people, and that information has to come from somewhere. If there are no sources, there is no information. Whether you like it or not, your personal information is floating around somewhere, and if someone really wanted to find it, they could. Is this frightening? Sure, some could view it as frightening, but this is how the world has worked for quite some time. Most individuals are not willing to pry into the private information of others, unless something provokes them into taking such actions. Reverse phone number searches are a tool, much like a hammer or keyboard, and you should be less afraid of the tool than the one wielding it. Need a trustworthy investigative agency? Docusearch Investigations remains one of the leading agencies for investigative reporting. From performing a reverse phone number search to a disconnected 800 number search, Docusearch provides timely, accurate results with a money-back guarantee.